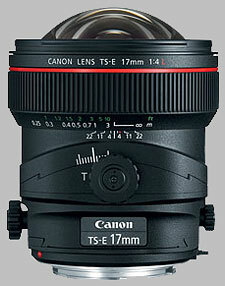 (From Canon lens literature) The widest tilt-shift lens in Canon's lineup, the new TS-E 17mm f/4L lens expands shooting possibilities exponentially on EOS Digital cameras. Designed with UD glass to minimize and compensate for chromatic aberrations, with specially coated aspherical elements for the highest possible glare-free image quality, this tilt-shift lens offers an angle of view of 93°. New TS revolving lets users freely combine tilting and shifting within the range of +/- 90° in the direction of movement. The lens also has an improved tilt & shift knob with an enhanced range of movement of up to +/- 6.5° and revolving lenses for better operability, it uses a circular aperture for beautiful out-of-focus areas and has an SWC lens coating to control ghosting and flare to a far greater degree than with earlier coating technologies. The best wide angle lens ever? Still on discovering phase (Three month use). The full manual operation is part of the "personality" you have to deal with. Shift option makes easy panoramas. The quality of the picture is the reward of time spent for composition and setup. Nearly perfect even with large shift/tilt movements. The best architecture lens around, especially when mated with 21MP full frame bodies. The price but then again there's nothing else as good and if you shoot professionally it will easily pay for itself. Must use your hand to shade lens, which isn't a big deal since you need to use a tripod. I shoot architecture professionally and this lens mated with a 21MP full frame is a dream come true. I also use the lens for landscapes and panoramas, although, the 24 TS-E might be better suited for that application as it allows for front filter use, includes a lens hood and does not have the finger/dust attracting protruding front element. For architecture or urban landscapes that include any tall buildings the 17 is your best bet. A bubble level and tripod are essential, along with LiveView for setting focus and any tilt. Simply an unbelievable lens. Almost no distortion at all. Focuses as close as a macro. If someone had shown me images from this lens and told me it was a 17mm I would have not believed it. An indispensable lens for an architectural photographer. Best Canon lens I have ever owned and right now I own seven L series lenses.